Tom Brady did not attend organized team activities, but the New England Patriots quarterback hasn't been a total no-show during the offseason. While Brady has skipped the voluntary workouts, he has made appeared at Gillette Stadium "on a semi-regular basis" to work out with wide receiver Julian Edelman, NBC Sports Boston reported. The absence of Brady from the OTAs caused a stir in New England, since the three-time NFL MVP has been a frequent participant in the past. The 40-year-old Brady did not publicly commit to playing the 2018 season until a promotional appearance on April 30 in Santa Monica, Calif.
At the time, Brady said he desired to spend more time with his family while still preparing for the 2018 season. Brady has been spotted training both on the beach and on the field at UCLA and has made some high-profile appearances across the globe, including overseas visits to Qatar for Monaco, while the team's offseason program was underway. During the recent sessions of OTAs, Patriots coach Bill Belichick did not address the absence of Brady, who attended the workouts every year from 2011-17. "Yeah, I'm not going to talk about the people who aren't here. Guys that are here are improving, they're working hard and those are the guys we're going to focus on," Belichick said. Patriots owner Robert Kraft told reporters that he was unconcerned about the absence of Brady, emphasizing that "voluntary" nature of the workouts. Kraft noted Brady's family responsibilities and also said that the five-time Super Bowl champion is "very excited" about the mandatory minicamp, which is scheduled for June 5-7. Brady has two years remaining on his contract and is currently scheduled to earn a base salary of $14 million in 2018. He threw for a league-best 4,577 yards along with 32 touchdowns and only eight interceptions last season. 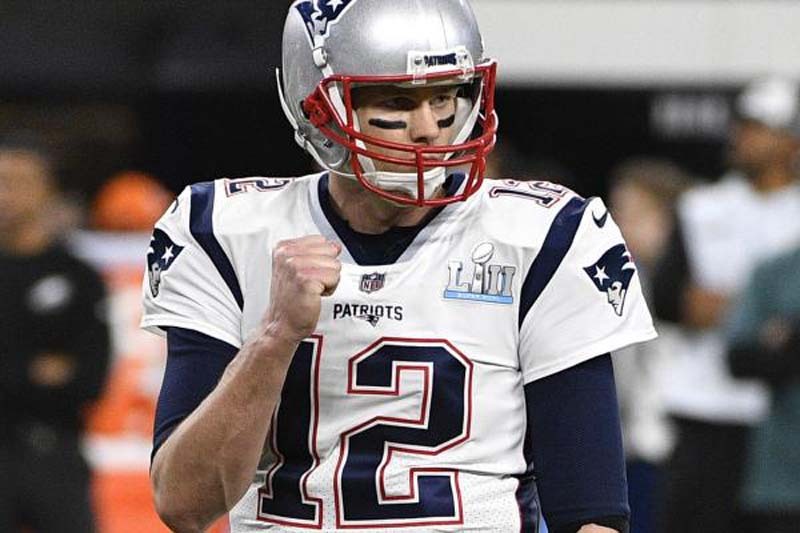 Brady is the oldest player to receive the NFL MVP award and the fourth to win it three or more times (Peyton Manning, five; Brett Favre and Johnny Unitas, three apiece). A four-time Super Bowl MVP, Brady also was the NFL MVP after the 2007 and 2010 seasons.